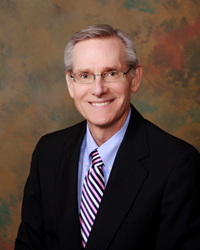 San Antonio estate planning attorney Kevin P. Shay, of the Law Office of Kevin P. Shay, marks thirty-five years as a legal professional in Texas. I enjoy assisting clients with their estate and business matters, so the time passed quickly. I hope to continue to serve my clients for many years to come. Attorney Kevin P. Shay, founder of the Law Office of Kevin P. Shay, is celebrating his thirty-fifth anniversary providing advanced estate planning services. “It is difficult for me to imagine that I have been practicing law for so long. I enjoy assisting clients with their estate and business matters, so the time passed quickly. I hope to continue to serve my clients for many years to come,” said Shay, who is board certified in estate planning and probate law by the Texas Board of Legal Specialization and is a C.P.A. Additionally, it is his third year as a member of the board/officer of the San Antonio Estate Planners Council. Shay is currently the council’s vice president and next year will be its president. His primary duty on the council this year is to oversee its monthly educational programs. During the course of his distinguished thirty-five-year career, Shay has become known for helping his clients achieve their estate distribution goals. He also provides business and corporate planning for closely held and family-owned businesses, including formations of limited liability companies, partnerships, corporations, and family-limited partnerships. In addition to law, Shay is passionate about helping others. His office recently hosted a donation drive for Operation Warm, which provides brand-new winter coats to children in need. Operation Warm works year-round to create colorful winter coats made just for kids. Since 1998, Operation Warm has inspired hope by manufacturing and distributing winter coats to more than 2 million children in need throughout the U.S.
Kevin P. Shay works with individuals and small business owners with the planning of their estates, including providing for the management of his clients’ financial affairs in the event they become incapacitated. Practice areas include estate planning, planning for children, asset protection planning, business planning, probate/estate administration and more. For more information, please call (210) 497-6300, or visit http://www.kpshay.com.